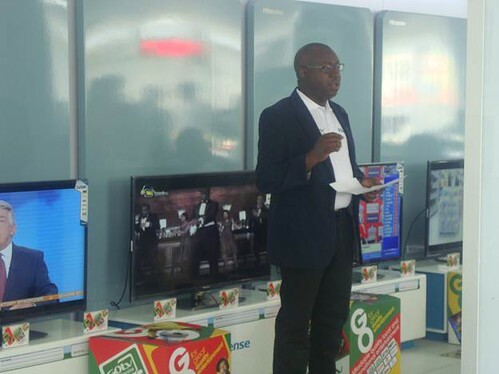 GOtv – the leading DTT pay television service in Ghana – and technology company Neotion in partnership with Hisense today announced the launch of yet another revolutionary product into the Ghanaian market and the first of its kind in West Africa. The CAM (Conditional Access Module), or GOcard as it will be called – is an electronic device (decoder) that slots into a compatible integrated digital television that is equipped with the appropriate hardware facility to view the great television channels offered on the GOtv service . Available from Monday 28 April 2014, the GOcard is a mini decoder but instead of being a separately powered device, it slots directly into a CI+ enabled digital television and functions as a single unit. It is a Conditional Access Module (CAM) and therefore is equipped with the appropriate hardware facility to view GOtv. Currently the GOcard is compatible with the new Hisense 32”, 39” and 46” integrated digital televisions and will retail as a bundled offer and will retail as follows – the 32” Hisense for GHC 1,150 (plus 6 months subscription), the 39” Hisense TV for GHC 1,800 (Plus 12 months subscription) and the 46” Hisense TV GHC 2,200 (plus 12months subscription) all prices includes the TV, GOcard and GOtenna. 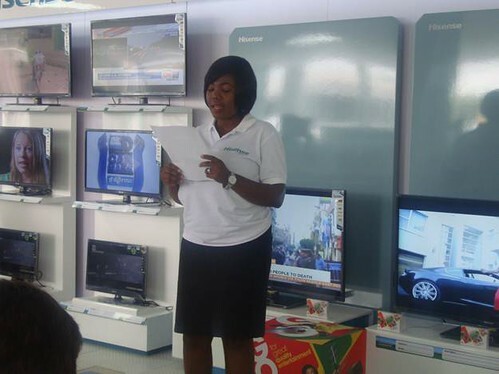 “Hisense bundle offer is a perfect solution for anyone looking to buy a new TV and at the same time looking to subscribe to GOtv for great family entertainment,” concluded Sunkwa-Mills. This innovative product from GOtv in partnership with Neotion, not only provides great entertainment, but also offers the best way to join the digital revolution, it is already digital, therefore when Ghana migrates from analogue to digital transmission, current GOtv subscribers won’t be affected by the transition and will not need to buy a new TV or decoder. The GOcard is not available as a stand-alone product and at this stage is only bundled with selected Hisense televisions. It is easy to install as it slots into a compatible TV therefore no additional cabling or additional remotes are required. However to optimize reception of the GOtv service, it is recommended that an external UHF GOtenna is used. Unlike the set top box, the integrated GOcard solution will use the menu and channel navigation of the television, thus giving subscribers a totally different experience to what they have had in the past. For more info on the GOcard or a list of retailers visit our website on www.gotvafrica.com. GOtv unveils its GOcard in Accra | First in West Africa 0 out of 5 based on 0 ratings. 0 user reviews.